Lucrecia Dalt - Anticlines. Vinyl LP, CD. Bleep. Lucrecia Dalt debuts on RVNG Intl. with Anticlines, a vivid portrayal of what it means to create music that is equal parts experimental and equal parts pop within the post-genre landscape of 2018. Described as a place where "skins and minerals dissolve and commingle, where gaseous subterranean leaks inflate lungs, where brain cavities echo interplanetary waves bent from passing through atmospheres". 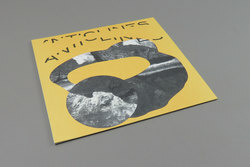 Anticlines goes a long way to mapping out Dalt's ideas of the album as "a volume of bodily and geological substrates within poetic theory and sound". While this may baffle your head a bit, we honestly say leave any pretences at the door with this one and venture in with your eyes shut. On paper, it may appear that the ideas are rooted in those wings of music academia that many may turn away from deeming it pretentious or difficult to enter into. 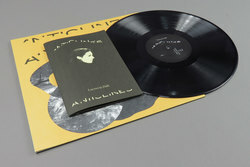 Anticlines is, in fact, one of the most wonderfully experimental and richly rewarding pop records of modern times. A beautifully pieced together world where each track evolves into a land rich with experimental foliage that seeps out of the speakers with every second that slips by. 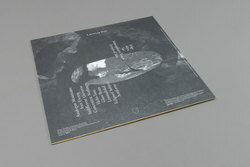 It’s an open invitation to bask in some truly otherworldly atmospheres, a near perfect balance of pop and the avant-garde. Trust us, this record is incredibly special and we imagine will be heralded as in years to come as a true milestone in both RVNG and Dalt's discographies, and as such deserves all of your attention pronto.